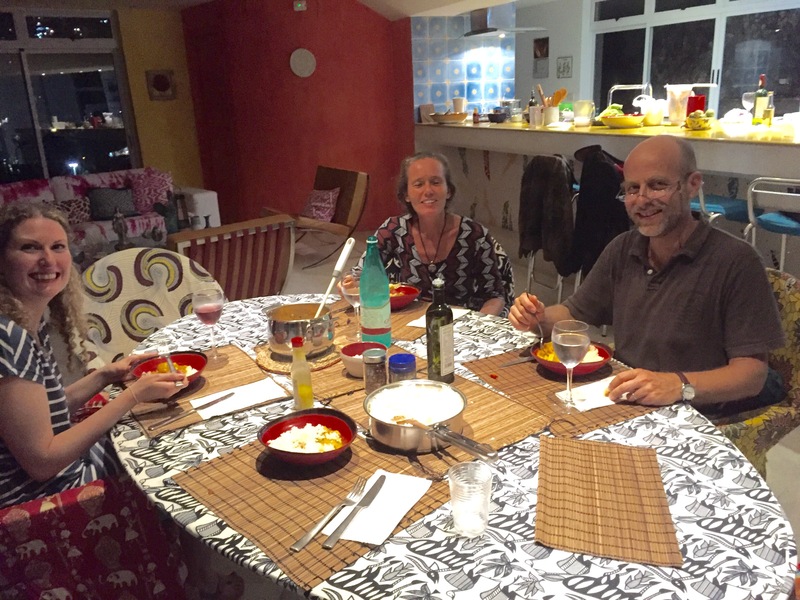 On our trip to South America last year, you may recall that in my Brazil blog, I mentioned that I cooked for our lovely host Jeanne one night, and her husband. My offer to cook came within the first few minutes of meeting her, I just can’t help myself! 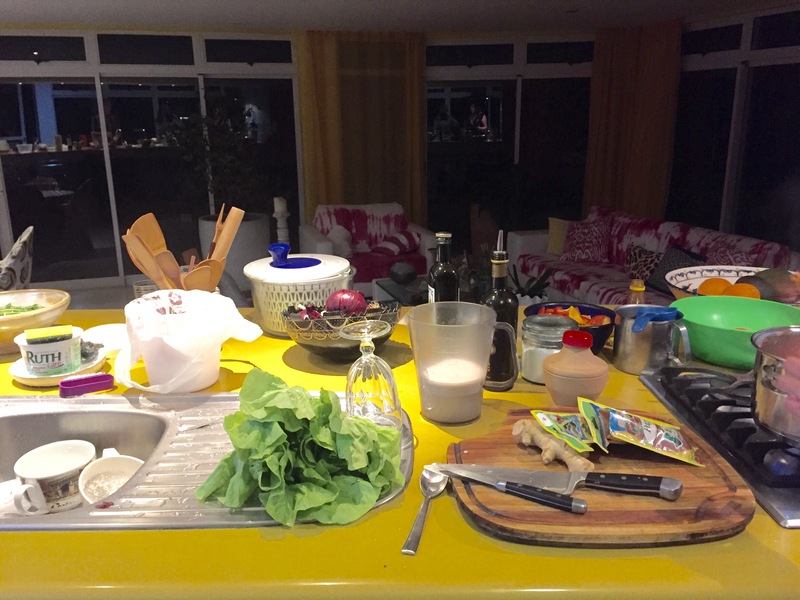 She delightfully accepted and offered me in return the use of her much bigger kitchen. 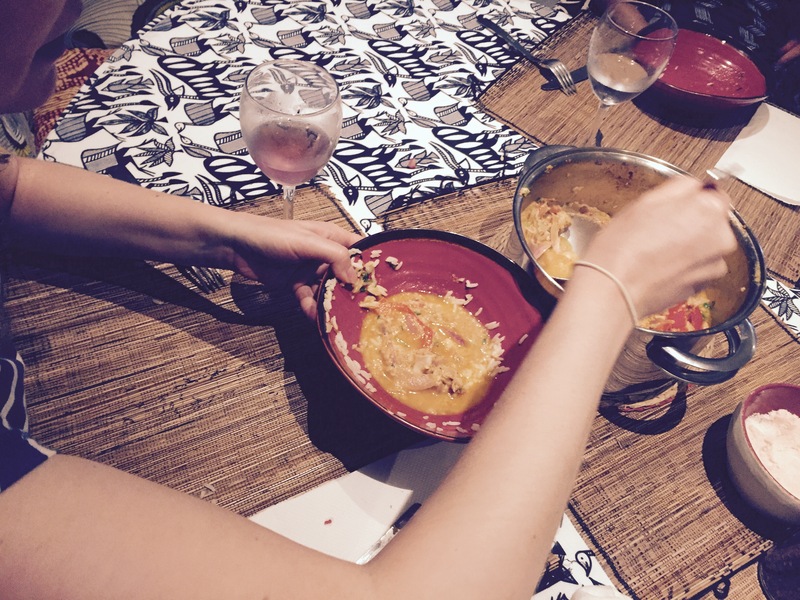 I asked Jeanne if she had any good local recipes that I could make, and it was then that she told me about the Moqueca, a traditional Brazilian fish stew. 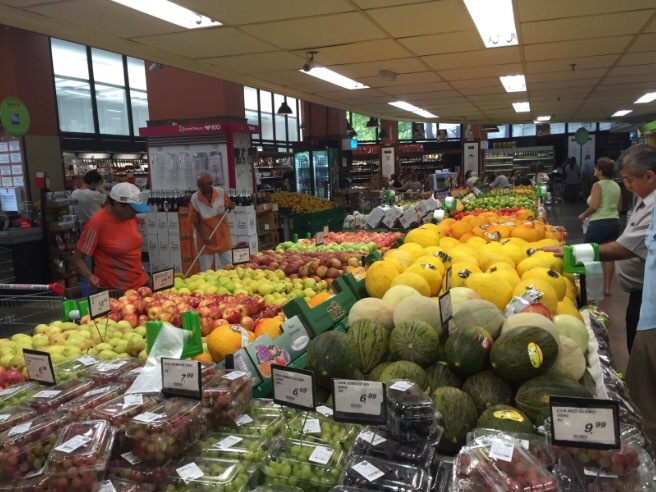 The morning of our last full day in Rio, Jeanne took us round a local food supermarket to get our ingredients.True Moqueca is made with a fish caught off the coast of northern Brazil. As it’s probably not possible for most of you reading this blog to get hold of, a firm fresh white fish such as cod or haddock would work instead. For starters I made my sweet potato, beetroot & feta salad, and a Lemon Posset desert. Some of the ingredients I used were slightly different than I would back home, so I had too improvise a little. As well as the fish stew, I also cooked a version with banana instead of the fish, as suggested by Jeanne. I found this version even better, with a good combination of sweet & savoury flavours. My cooking seemed to go down well that evening. Jeanne even offered me a chef job in the future pop-up restaurant they are planning to have in their house. 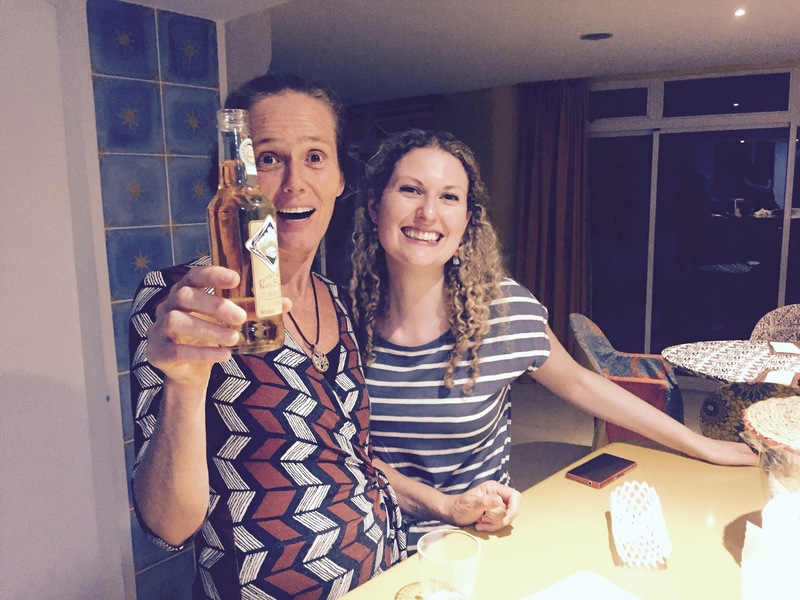 This was though after we’d had consumed a few glasses of wine and some Cachaca Sugarcane spirit! 1) Rub a good pinch of salt and pepper into the fish, place into a large bowl and mix in the garlic and lime juice, ensuring the fish is coated. Leave in the fridge to marinade. 2) In a large pan, heat a glug of olive oil, and add the onions and peppers. Cook until soften, then add the paprika, chilli, dried coconut flakes, half the bunch of coriander, salt and pepper. Stir well. 3) Remove half of the vegetable mixture from the pan and place into a bowl. Add the fish (or banana), in a layer on top of the mixture left in the pan, then add the removed mixture on top of the fish. Add a layer of sliced tomatoes. 4) Pour the coconut milk over everything and bring the mixture to a simmer. Reduce the heat, cover, and let simmer further for another 15 minutes. 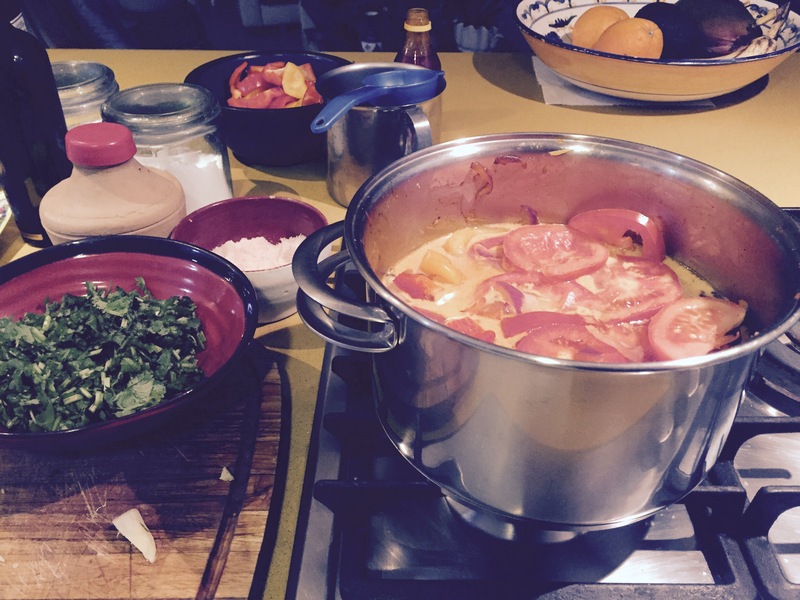 5) Taste the Moqueca half way through simmering. You may need to add more salt & pepper, paprika, lime juice or chili flakes to get the dish to the desired seasoning for your taste. 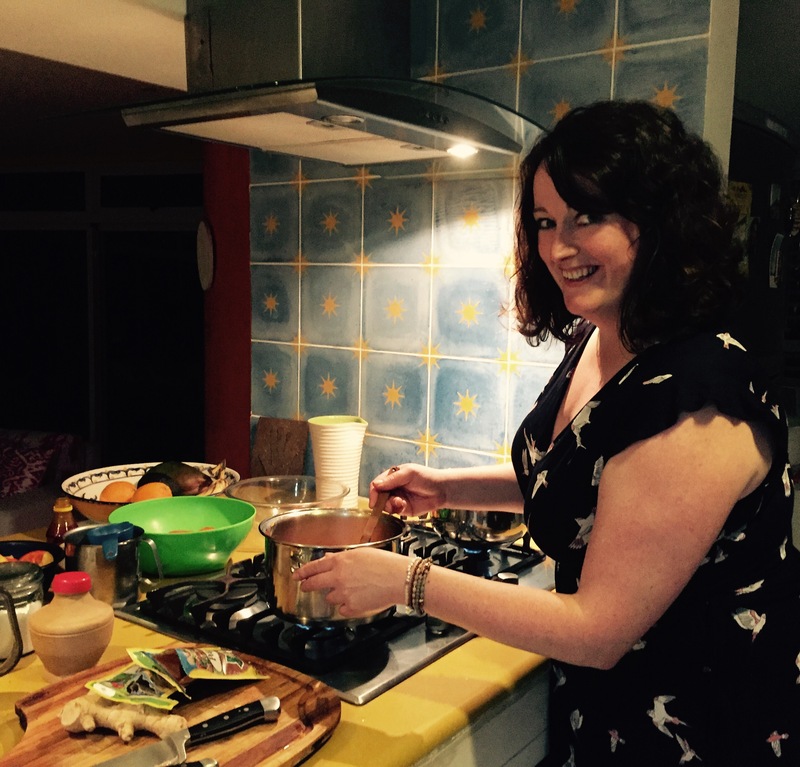 6) Pour the Moqueca into a serving dish and sprinkle the rest of the coriander over the top. Serve with the cooked rice and some nice crusty bread or flatbreads. Next Post An Exciting Messy Year Ahead!